Families and outdoor enthusiasts will find no better way to experience nature and proximity to adventure than by staying in an RV, travel trailer, or tent in one of the nearby Sun Valley Idaho Campgrounds. In addition to nearby National Forest and primitive wilderness campsites, you'll find that Sun Valley Idaho Camping is easy at these RV parks and private campgrounds. Enjoy amenities like electric hook-ups, showers, laundry, sewage dumps, great location, and much more on these well kept properties in Sun Valley ID. Heading to Sun Valley and the Ketchum area? 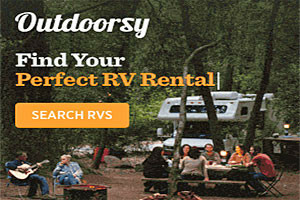 Rent locally-owned affordable RVs, campers & trailers, perfect for your adventure! Pet friendly too. Fall asleep to the sound of the Little Salmon River! Campground has full hook-up sites, cable TV & is a great launching point for your vacation fun. The Idaho RV Campgrounds Association is the best source for information on Idaho RV and campground facilities! The Meadows RV Park features 45 of the best, 60 foot, paved, pull through sites with full hookups that Sun Valley has to offer.